My husband and I are looking at doing our first winter hike in the White Mountains this coming weekend. Any good recommendations? we're fairly experienced hikers, not as much in winter but being from Canada we're well equipped for the cold. I've heard Lafayette and Mount Moosilauke are great. Do you think these might be too intense for our first time? 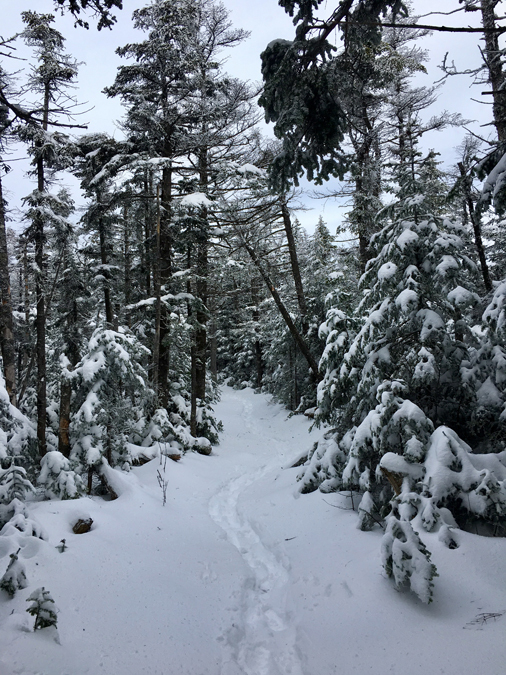 Moosiluake is a great hike to do to get a taste of winter hiking. The Gorge Brook or Glencliff/Carriage Road trails are both good options. Gorge Brook Trail is well protected until the last few hundred feet, where as the last mile along the Carriage Road on the Glencliff approach is out in the open, so you get more of the above treeline experience in the high winds. 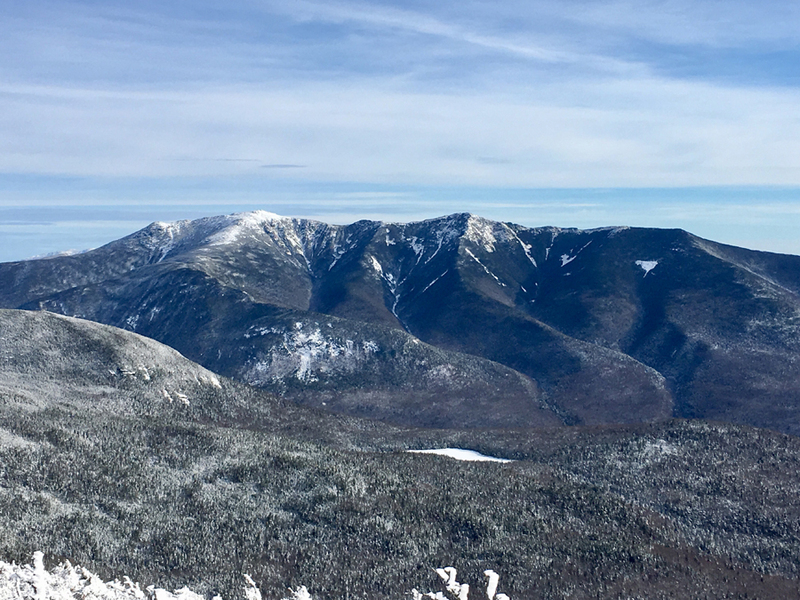 One of the easier 4,000 footer to hike is Mount Pierce, last couple of hundred feet is above treeline with tremendous views! Hope you get a nice weather day! Just an FYI, Ravine Lodge Road is listed as closed for the winter so there would be a FSR walk up to the junction. Yeah, that road has been closed since the storm a few weeks ago. It was in rough shape to begin with from all the construction that was going on for the new lodge. Thanks for the great post, Im considering this for Wednesday. The weather looks like there will be some snowfall. Pup will love it. Have fun, hope you get a winter wonderland hike in!